A fire had started in the dryer. It quickly spread, and the house was soon engulfed in flames. The Santalo family lost countless treasured, irreplaceable possessions: Her father’s original paintings, family photo albums, Santalo’s dance leotards and flamenco skirt, and the documents her grandparents had brought to Miami when they left Cuba. From the ashes, the family rose up stronger – and eight-year-old Santalo learned a priceless lesson: We can shape our reactions to any situation. Santalo recently graduated from St. Brendan High School with a 4.99 GPA – and is a part of FIU’s best freshman class in university history. She says art was a big part of helping her heal – and excel. In middle school, Santalo wanted to bring the healing power of art to others. She started an art appreciation club with her brother Cesar – who also is an FIU student – and began taking groups of local children to visit Art Basel, Viernes Culturales, the PAMM and the Wolfsonian-FIU. After a very successful year, she knew there was more that she could give to the community. 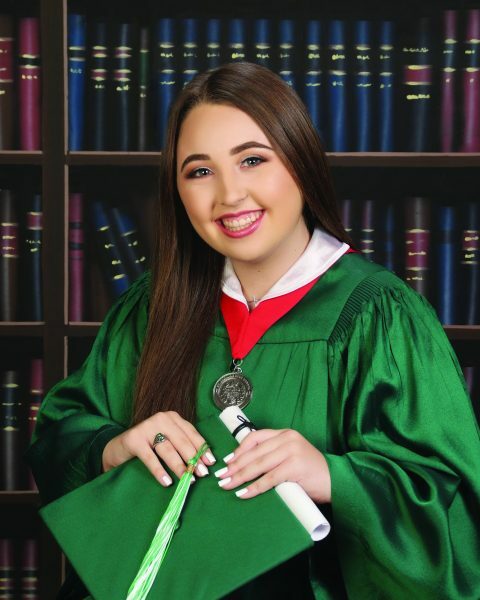 While she balanced school – along with her many extracurricular activities, including dancing at Conchita Espinosa Academy and participating in numerous high school theater productions – Santalo turned the art appreciation club into a non-profit called Art for Others. The organization lives up to its name: It brings art to those who need it most. 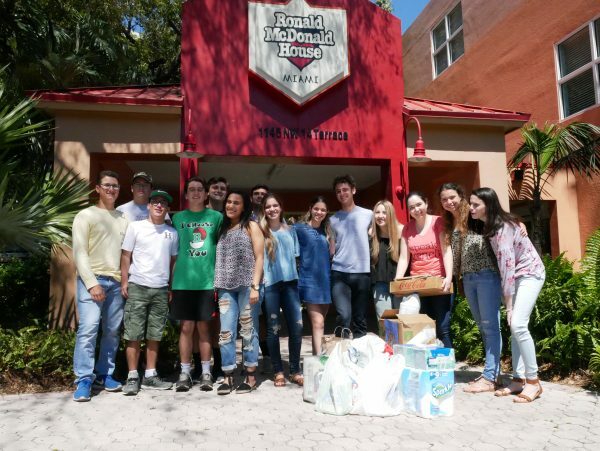 Santalo routinely visits the Ronald McDonald’s House Charities and Centro Mater to host art workshops and donate supplies. On a trip to the Miami Ronald McDonald House, she met a little girl undergoing chemotherapy, who asked for more paper and color pencils so that she could keep drawing. The next time, Santalo knew she needed to bring more materials. “I want to give them the tools to make something beautiful, even in dark times,” Santalo said. The time she’s spent with sick children has inspired Santalo to continue this important and life-changing work by becoming a nurse. Santalo was accepted into several top-rated universities. She chose FIU to continue giving back. As both a Nicole Wertheim College of Nursing and Health Sciences and FIU Honors College student, Santalo will have the opportunity to continue making a difference. Santalo sat down with the little girl and drew a portrait of her with long, flowing hair. Hello, I’d like to donate to her Art for Others… we always have extra art supply. Thank you! Please email me at anicolet@fiu.edu, so I can connect you with Angela. Thank you, again! You make our heritage proud. Thanks.